Diaries of a Dwarf Planet: What are Those Spots on Ceres? Today we have a guest post from Lauren Sgro, who is a second year PhD student at the University of Georgia. Lauren studies the orbits of young, nearby binary star systems. Despite the all-consuming nature of graduate school, she enjoys doing yoga and occasionally hiking up a mountain. Authors: A. Nathues, M. Hoffmann, M. Schaefer, L. Le Corre, V. Reddy, T. Platz, E. A. Cloutis, U. Christensen, T. Kneissl, J.-Y. Li, K. Mengel, N. Schmedemann, T. Schaefer, C. T. Russell, D. M. Applin, D. L. Buczkowski, M. R. M. Izawa, H. U. Keller, D. P. O’Brien, C. M. Pieters, C. A. Raymond, J. Ripken, P. M. Schenk, B. E. Schmidt, H. Sierks, M. V. Sykes, G. S. Thangjam, J.-B. Vincent. First Author’s Institution: Max Planck Institute for Solar System Research, Göttingen, Germany. Status: Accepted to Nature, 21 September 2015. The largest body in the asteroid belt, Ceres, has been throwing humans for a loop ever since we first turned our telescopes in its direction. For instance, Herschel’s detection of water vapor on Ceres marked the first indisputable detection of water vapor on any object in the asteroid belt. Not to mention Ceres’ lone mountain, dubbed Ahuna Mons, which has scientists stumped trying to model its formation. 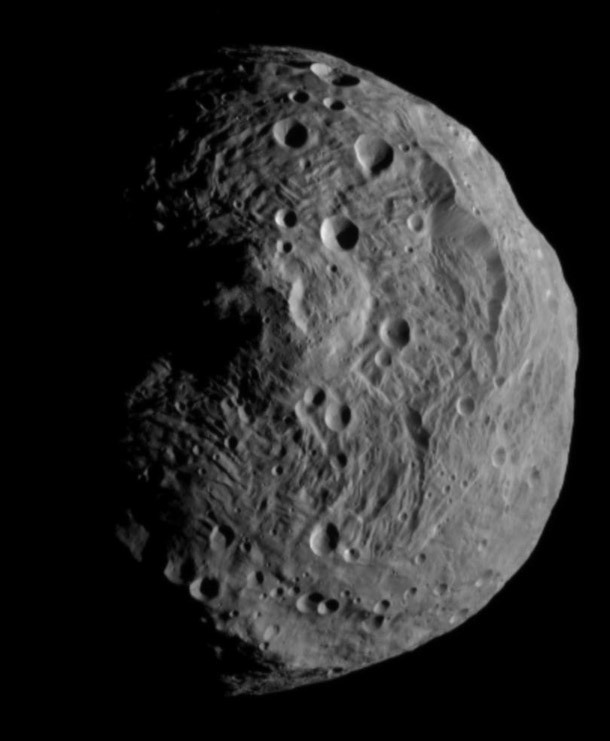 Now, as NASA’s space probe Dawn completes its first year of observations, another mystery has materialized. What are those bright spots that pepper this dwarf planet? The surface of Ceres is fairly dark, akin to freshly laid asphalt. However, a recent study counts 130 bright spots distributed over its surface that seem to be more similar in brightness to new concrete. Bright patches such as this hint that Ceres may have an underlying layer of ice. The relatively young Occator crater houses the brightest spot at its center, an area that is almost four times more reflective than any other feature on the alien world. Occator and the second lightest spot, designated ‘Feature A,’ are both labeled in Figure 1. So what is this shiny stuff? Scientists used spectral analysis and absolute reflectance to narrow down the possibilities. Reflectance is a fractional measure of how much light that is hitting a surface is reflected back, which typically changes depending on the wavelength of light we are talking about. 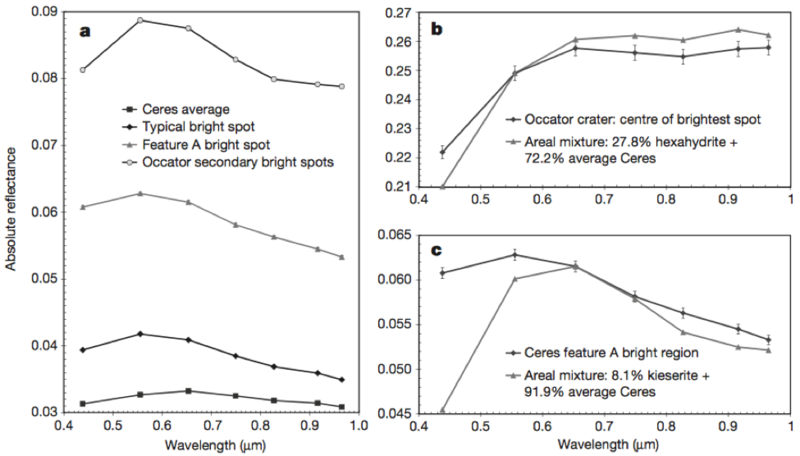 Most of Occator’s bright spots, referred to as secondary spots, have a wavelength of maximum reflectance (wavelength of light that is most reflected by a material) that is shorter than that for the average surface, as shown in Figure 2a. In fact this trend applies to most of the bright features found by this survey. But the central most spot inside Occator seems to be an exception to the rule. This region, the brightest source on Ceres, displays a spectrum (Figure 2b) that is entirely different than both the secondary spots and the average Ceres spectrum. Along with the confirmed presence of water vapor, this data suggests that the curious bright substance is either water ice, some sort of salt, or an iron-poor clay mineral. A closer look at the brightest spot reveals that the most likely compound responsible for this phenomenon is really just dehydrated Epsom salt. As we move away from the central portion of Occator towards the secondary spots near the edge, the reflective material shows signs of alteration. The secondary spots could simply contain a salt that is less hydrated, indicating that the presence of water wanes moving outward from the center of the crater. Feature A’s spectrum supports this theory by matching well to a more dehydrated salt in Figure 2c. Occator itself is a mini mystery machine (cue Scooby Doo). Dawn caught a glimpse of a low altitude haze loitering inside the crater while looking for plumes on Ceres. In this context, a plume is a column of water vapor that erupts from the surface of a planet and suggests the existence of a subterranean ocean, much like that expected to exist beneath the crust of Europa or Enceladus. The failure to detect plumes signifies that any water hidden within Ceres is probably not liquid, ruling out various sorts of geological activity. However, the detection of haze tells its own story. Scientists speculate that this haze may be comprised of water-ice particles and dust, which is an idea supported by Herschel’s confirmation of a relatively nearby water vapor source. The looming fog exhibited diurnal patterns, being distinct around local noon but disappearing near sundown. The haze forms due to the sun’s heat, which warms the surface and causes sublimation of the present water-ice. Rising vapor brings along dust from the surface to create the observed haze, leaving behind salt deposits that manifest as bright stains. Without the presence of the sun, sublimation ceases and the haze disintegrates at dusk. This hazy and fleeting feature isn’t found everywhere on Ceres. It is likely that in the case of Occator or even Feature A, where the same process is expected to occur, some underground reserve of ice became exposed and thus subject to sublimation. But how could the fresh ice have been revealed? Perhaps an impact was able to permeate the dark crust of Ceres and uncover the reflective ice and salt. This simple theory fits well with the observation that most of the bright spots are associated with impact craters. The less reflective spots scattered across Ceres can then be thought of as places where sublimation has exhausted the uncovered supply of briny water-ice. With all this talk of sublimation, it seems that Ceres has more cometary characteristics than expected for an object residing in the asteroid belt. As the largest object that lies between Jupiter and Mars, Ceres gives us clues about the formation of the Solar System. 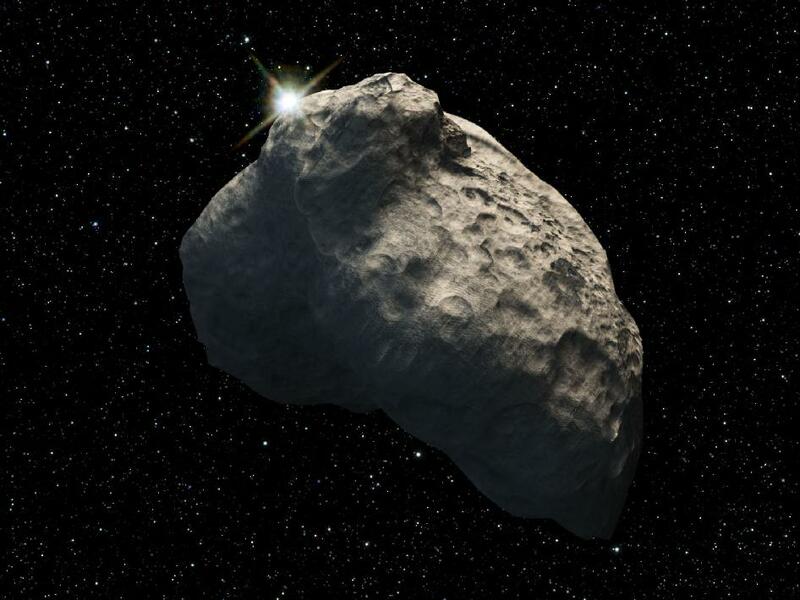 This study suggests that our Solar System may have evolved with less of a distinction between asteroids and comets than previously thought, challenging the long-held belief that asteroids and comets formed entirely separately. Dawn will remain at Ceres for the rest of its mission and indefinitely afterwards, continuing to gather more exciting details about this strange and far-away world. 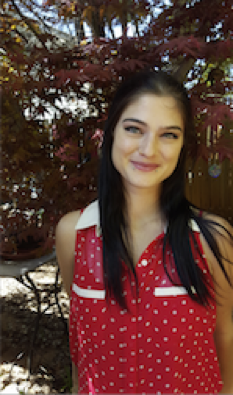 Lauren Sgro’s article is one of the better astrobyte articles that I have seen written. It uses easily understood words like asphalt and concrete, things the unscientific reader can understand, with very clear scientific explanations and graphics. In the modern world of over-hyped scientific journalism, it is refreshing to see a scientist who can also communicate clearly. Good work Lauren.